First of all, Credit goes to Pacack from Smashboards for this. 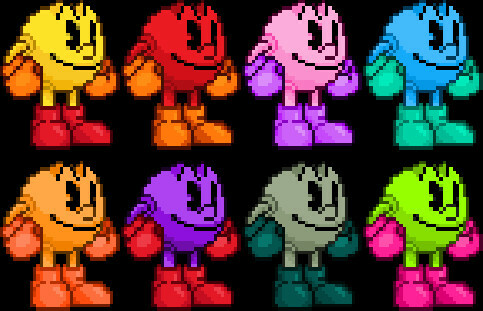 Pac-Man doesn't really have many alts, he has a costume pack that was made like this near the very beginning of smash modding but some of the colours are very off, I just want these nice and simple colours for everyone to use for Pac's lackluster default alts. In order to win the bounty, you should fulfil the following requirements. This does actually already exist on the site. Some colors are a little different but yeah they're here, you can probably get someone to do the different colors if you really want them though.